Make sure you follow Paytm to get amazing offers as soon as they become available. Don't forget to check the Paytm website to see if any offers are available. With its roots as an online mobile recharge and utility payments service, Paytm has since expanded into a comprehensive marketplace, offering a wide range of products for everyday use. However, this growth has not detracted away from their original purpose as a platform to recharge payment cards for your mobile phone, landline phone, utility and transport services, with just a few clicks of the mouse. They pride themselves on the speed and ease of their service. 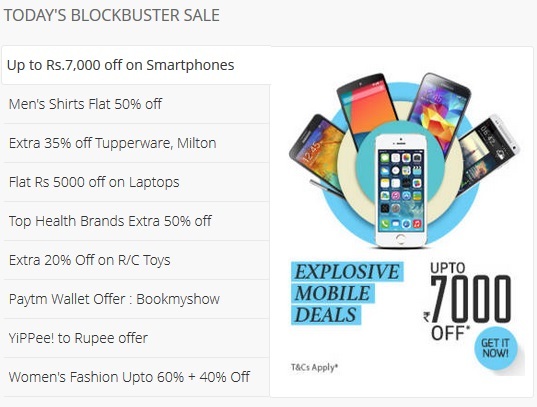 Paytm offer a bunch of great offers that change on a daily basis. Whether you are visiting their website to make use of their recharge facilities, or to browse through their range of products, you can take advantage of the daily Blockbuster sale. 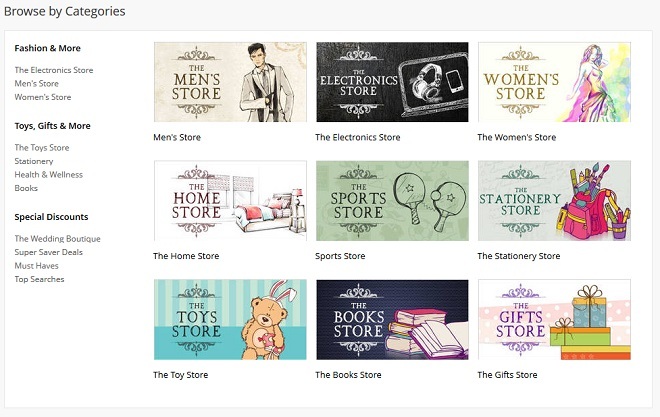 You will find savings and cashback offers for recharges, electronics, clothing, home ware, sports goods, books and more. Not only can you take care of all of your recharges with Pytm, you can also browse through the very latest products from a number of different categories. You can view the items according to popularity, discount applied and top searches. 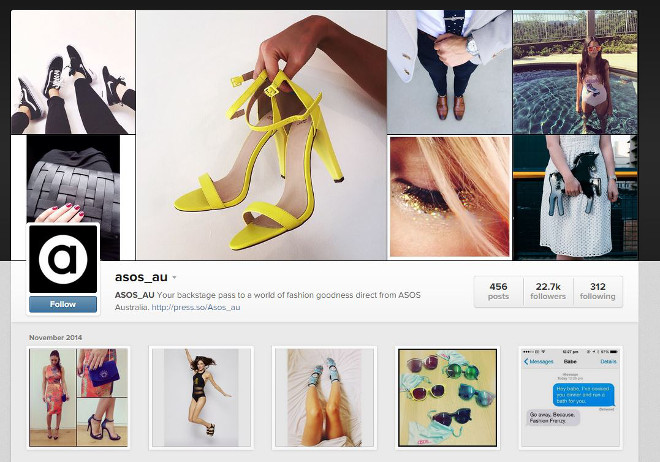 Alternatively, you can view by category and even drill down to particular niches, such as boutique wedding garments. Once you add an item to your shopping cart you will be taken to a summary page where you can either continue shopping or begin the checkout procedure. Double check that the promo code you have selected applies to the products that are in your shopping cart. Copy the coupon code from our page and paste it into the relevant box. Click ‘Apply’ to add the discount to your order summary. Check that the discount has been applied and finish the checkout process. If you have ever been left frustrated after running out of credits on your digital and cellular devices, you are likely to benefit from Paytm’s easy and hassle-free online recharge service. With just a few clicks of the mouse you can add extra credit to your mobile phone, from anywhere at any time, using their clear and simple interface. All you have to do is enter your mobile number, operator and the amount that you would like to purchase. This means that you never have to be restricted by a lack of connectivity. It’s not only your mobile phone that you can recharge either. You can also buy credits online for your DTH, Datacard, Landline and even utilities such as electricity and gas. So the next time you run out of credits in the middle of the night, no longer will you have to cope without basics such as lighting and heating. Which operators are covered for recharge services? Now you can add funds to your online account and store them in a personal wallet, that you can use to purchase recharge credits, as well as the various products and services that Paytm offers. This convenient way of paying for your items means that you do not have to enter your payment details for every single transaction, which is particularly convenient for when you are away from home and wish to complete a transaction quickly and discretely. Find out more about the Paytm Cash Wallet feature here. Their app for mobiles and tablets allows you to take advantage of everything Paytm offers, including a quick and immediate recharge facility, as well as shopping for a range of products, from your portable device. All you have to do is open up their app, while you are out performing your daily tasks, and you can access all of the services that are available to desktop users. Once you have opened the app on your mobile device or tablet, you will be shown the recharge facility that Paytm prides itself on. This is handy for those who want to quickly add credit to their account without having to navigate to the relevant page. If you would like to browse through the products available on Paytm, you can select the relevant category from the top left corner and scroll through the various products. You can view each item in fine detail and read all of the relevant information relating to each one, just like on your computer! The app is available on Google Play, App Store, Windows Phone, Nokia Store and for Blackberry. The Paytm blog is a section of their website that is dedicated to keeping you informed about the latest special offers and deals from Paytm. They regularly post new alerts and announcements relating to exclusive cashback offers, price reductions and exciting competitions that you can enter. They offer an in-depth help and support section on their site, which includes answers to commonly asked questions relating to their service and products on offer. Click here to check it out. If you need to get in contact with them, for queries relating to your order or for more information regarding the services that they offer, you can do so by visiting this page and selecting 'Contact Us'. 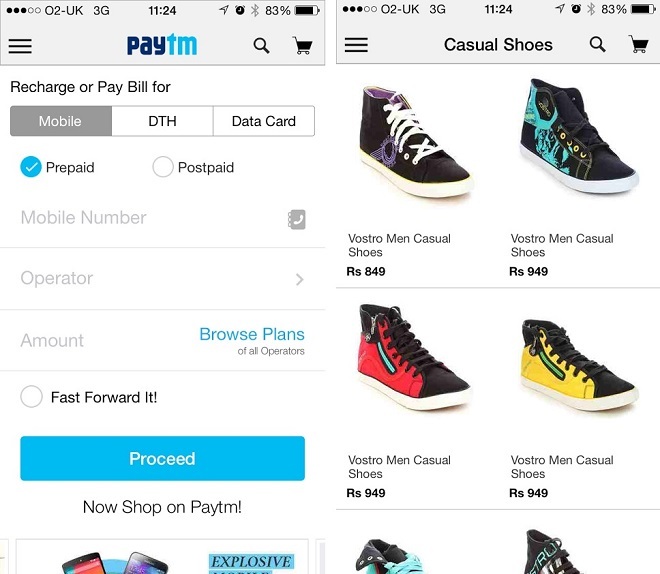 Paytm is one of the most popular shopping websites and largest mobile commerce platforms in India. It started as a mobile recharge and bills payment platform, before it rapidly expanded to online marketplace and became a comprehensive online store packed full of top of the range electronics, fashion, homewares, gifts and much more. They started with a registered user base of over 12 million people and 6 million downloads of their mobile app, and Paytm is now India’s leading mobile commerce platform. 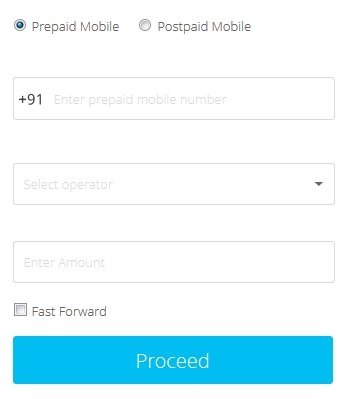 No matter who your operator is, you can recharge your mobile phone and DTH online with Paytm, with support for Airtel, Vodafone, Idea, BSNL, Reliance and many more. Now you can stay connected with friends and family, and have ongoing entertainment for even less when you get discount using Paytm offers at vouchercloud. You can also pay your utility bills like gas, electricity, water, which means you don’t have to leave the comfort of your home to stand in long queues and waste your time - instead just go on Paytm and pay all the bills in just few clicks. Plus, if you use public transport then you can even use them to pay for your bus tickets, and they even have you covered when it comes to paying for your landline bills. Pretty useful, don’t you think? With Paytm Cash, your secure online wallet, you get the option to recharge or shop from anywhere you want while you are on the move - quickly and painlessly. All you have to do is add credit from your debit or credit card, cash card, Net Banking or even at an ATM and you are good to go. Just don’t forget to use one of our Paytm coupons if you want to spend less and save more. You can also use Paytm wallet to pay for your shopping at Paytm and if you earn any cash back on your shopping that also credited back to your Paytm wallet. Paytm has a huge range of products like fashion, footwear, entertainment systems, personal technology, home and kitchen products and many more. So, if you are looking to add some new fashion lines to your wardrobe or looking to replace your old mobile or laptop you know where to look! Paytm has a huge range of products for your home and kitchen, including kitchen appliances, bedding, cookware and many more. So, if you are looking to give your old place a new look or moving into a new place then Paytm is the place to find almost everything under one virtual roof. 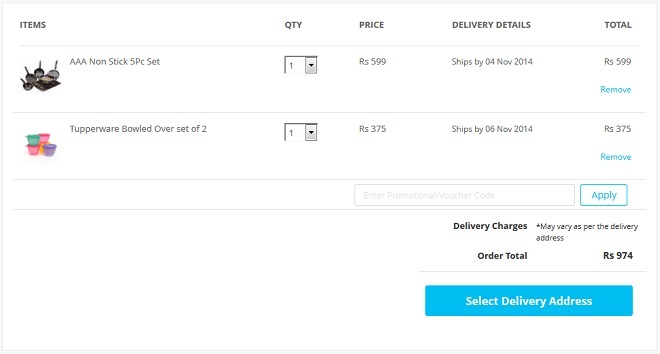 Always remember before placing your order to use Paytm promo code to save on your shopping, and get more for the amount of money spent. Looking for more ways to manage your utilities and services? Well, here at vouchercloud we’ve got plenty more savings for you in the form of some great discounts and deals - so make sure to use one today to keep your budget in check.